Sports are not immune to racial intolerance. Nearly every sport has some kind of recorded instance of racial or ethnic abuses, but recently there has been increased attention to these events at the high school and youth level. Young athletes who believed America had moved into a post-racial world have been the victims of racist taunts and abuse. 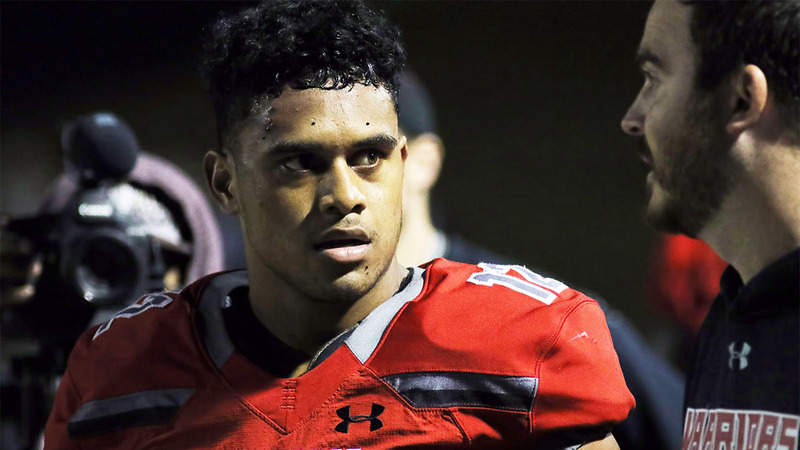 Alabama quarterback commit Taulia Tagovailoa recently spoke to USA Today about an experience he had at a game where fans were yelling racially charged insults at him and his teammates after his team took control of the game. USA Today and Forbes have reported on the increase of these incidents in recent years. Forbes draws a direct line from the presidential election of Donald Trump to the increase in racially insensitive comments directed at the players. One of the most glaring recent cases occurred when members of a high school marching band in Georgia staged a prank to spell out a racial slur. The sousaphone players had covers on their instruments that spelled out the school nickname Broncos, but the students used only the letters needed to spell out the slur. One incident directly related to President Trump happened at a school in Santa Ana, Calif. Posters in the crowd at a football game were seen saying “We Love White” and “Build the Wall.” The latter references a policy of President Trump, who campaigned on a promise to build a wall between the U.S. and Mexico. During that game, the principal of Santa Ana High School said he heard students from Aliso Niguel say, “It’s not a great day to be Mexican now, is it?” Santa Ana’s population is 99 percent Hispanic; Aliso Niguel’s is predominantly white. Recently the Penn Hills School District in Pennsylvania cancelled all sporting events against Connellsville Area School District after players pointed to the use of slurs by the opposing team during a soccer match. The Mansfield (Ohio) football team reportedly had bananas left in its locker room when the team played at Ashland. Mansfield, with a predominantly African-American student body, also reportedly had bananas thrown at them from the stands. Many high school players have told stories of being taunted with slurs at games. Daniel Drezner, a professor at the Fletcher School of Law and Diplomacy at Tufts was quoted in USA Today that he believes Donald Trump is a reason for the recent increased use of slurs. He also believes that most people will learn quickly that this is not acceptable. “There are two ways to look at it,” Drezner said. “One way is that it’s always been a problem, it’s just that we’re beginning to notice it now. That’s where (President Donald) Trump’s variety of examples of bigotry on display has suddenly made us more sensitized to these sorts of things happening. Trump’s name alone has been used as a taunt by fans from predominantly white high schools against schools with higher percentages of minorities in their student body. For the students being taunted, the action has shaken them. U’Kari Baker, a wide receiver from Louisville, Ky., told USA Today he was shocked when he saw students at a rival high school passing around a watermelon while taunting him and his predominantly African-American teammates. Bob Colgate, the director of sports and sports medicine at the National Federation of State High School Associations, told USA Today he had not heard anything about the incidents. Whether or not state associations are aware of the incident, the comments and symbols have shocked the athletes subjected to them.